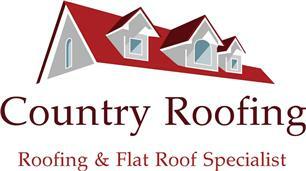 Country Roofing Ltd - Fascia/Soffits/Guttering, Roofer, Windows/Doors/Conservatories based in Witney, Oxfordshire. Having worked in the Cotswold and Oxfordshire area for the last 15 years, our excellent reputation and long list of satisfied clients to prove our attention to detail, good communication, friendly, honesty and reliability. Services we provide; New Roofs, Flat & Felt Roofing Systems, All Roof Repairs, Tiling & Cotswold Slating, Guttering, Soffits & Fascias, Moss Removal, High Pressure Cleaning, Leadwork Specialists, Chimney Works & Repairs. Traditional & New Roof Works Undertaken. We provide all new roofs with a 25 year guarantee although we expect our customers to achieve 40-50 years’ life from new systems. We are a family run local business who work for mainly residential clients as well as commercial agent work within Oxfordshire & Buckinghamshire. We are happy to also provide home buyer quotations for proposed works following surveys. One of our achievements was being asked to work for Channel 5's Cowboy Builders programme, whereby we installed a New GRP Roof System for the programme which went on air in 2014.